The benefits you get from exercise are specific to the type of exercise you do. For example, if you run long distances, you get better at long-distance running, and if you lift heavy weights, you’ll get stronger. This means that when it comes to the gym, the weight you lift and the number of reps you do should reflect your training goal. Otherwise, you could find that your workouts don’t produce the results you want. Make sure you get the results you want from your workouts by choosing the right weight and reps for your fitness goal. Strength and power are two different things. Strength is all about exerting maximal force, whereas power is all about producing force very quickly. In simple terms, strength is like a very heavy squat where you have to really grind out the rep, whereas power is a fast and high squat jump. To develop strength, you need to lift heavy weights for low reps. The normal working rep range is 1-5 reps per set, with 3-5 being the most used. Sets of 1-2 will develop absolute strength, but such low reps are best left to the experts. For most people, 3-5 reps are safer and just as effective. In terms of weight, the load should be heavy and between 85-100 percent of your one repetition maximum. Because such heavy weights are very taxing to your nervous system, long rests between sets are the norm – often as long as 3-5 minutes. To develop power, you need to lift heavy weights as fast as possible, so heavy is relative. The weight needs to be heavy enough to give you something substantial to push or pull against, but light enough that it doesn’t slow you down. As with strength, power is best trained using low reps, and long rests. Once you start to slow down, stop your set – otherwise, you’re just training yourself to be slower. This all leads to muscle breakdown, from which your muscles will grow back bigger and stronger. While pure strength training will produce some muscle gains, there is not enough metabolic stress for optimal hypertrophy, which is why many strong people don’t look that big. Weights for hypertrophy are usually in the 65-85% of maximum range. Developing endurance means getting used to lactic acid, and learning to clear it faster. This is best done by lifting light weights for high reps with short breaks between sets, i.e. 15-20 reps and 30-60 seconds rests. In terms of weight lifted, anything below 60% of 1RM is about right. Contrary to popular belief, there is no best weight or rep range for fat burning. 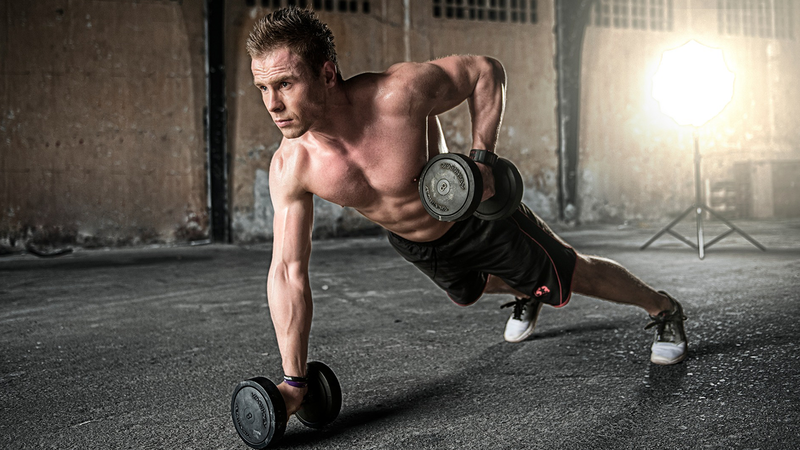 Doing high reps will not magically melt fat from your body! In fact, you could just as easily lose fat doing low reps with heavy weights. Fat loss is more about diet than anything else, and providing you create a calorie deficit, i.e. eat less food than your body needs, you will lose weight. Follow one of our meal plans to help you with inducing a calorie deficit the right way. While the rep range you use IS important, it’s equally important you work hard within your chosen rep range. For example, it’s not enough to lift a light weight three times and expect to get stronger; the last reps of your set should be a real battle. That fact holds true for ALL rep ranges. If your last couple of reps are easy, you won’t provide your muscles with the stimulus they need to change. Whatever you goal, there is a rep range that you need to use to get their faster. Training outside that rep range can sometimes be beneficial, e.g. building strength so that, when you move onto hypertrophy, you can use more weight. However, you’ll get better results training specifically.